Simon & Schuster/Paula Wiseman Books, 9781416971818, 40pp. Elise Primavera is the author and illustrator of the New York Times bestselling Auntie Claus series and the popular Ms. Rapscott’s Girls. 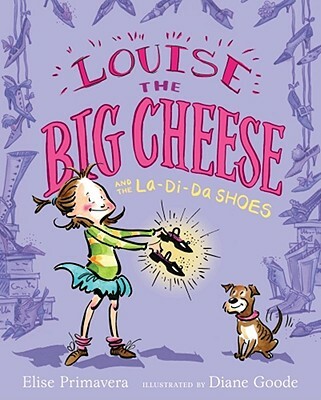 She is also the author of the Louise the Big Cheese books and other award-winning titles. She lives in New Jersey, and you can visit her at ElisePrimavera.com. Diane Goode is the illustrator of dozens of beloved and critically acclaimed picture books, including several written by Cynthia Rylant: Alligator Boy; When I Was Young in the Mountains, a Caldecott Honor Book; and most recently, Baby Face: A Book of Love for Baby. She is also the illustrator of President Pennybaker and My Mom is Trying to Ruin My Life, both by Kate Feiffer. She lives and works in Watchung, New Jersey, with her husband, David, and their two dogs, Jack and Daisy.